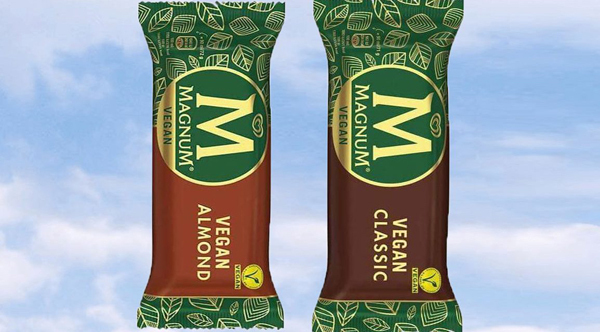 Magnum’s new dairy-free, vegan ice creams are now available in the UK and throughout Europe. The long-awaited vegan treats come in two new flavours: Vegan Classic and Vegan Almond. The ice-cream is made from pea protein and coated in smooth, rich vegan chocolate and a pack of 3 retails at £3.89. There is no better time to do so, as the UK vegan ice cream industry is booming. As documentaries and ice cream tours raise awareness of the dark side of the dairy industry, demand for non-dairy ice cream is definitely on the increase.